The Philly Showcase was launched in 2009 as a regional event designed to highlight some of the Philadelphia area’s top talent for college coaches. Within four years the event had grown to the point where more than 90% of the nation’s Division I programs were annually attending the Philly Showcase in order to recruit and top players from every corner of North America were participating. Now in its 10th year, the Boys Philly Showcase remains the pinnacle recruiting event of the fall season and receives thousands of player applications and nominations. The showcase alumni list is filled with NCAA DI, DII, DIII All-Americans, National Champions, MLL and NLL stars, National Team members and even former Tewaaraton Award winners, the sports highest honor. Check back weekly through November 16th to see which players have been selected. 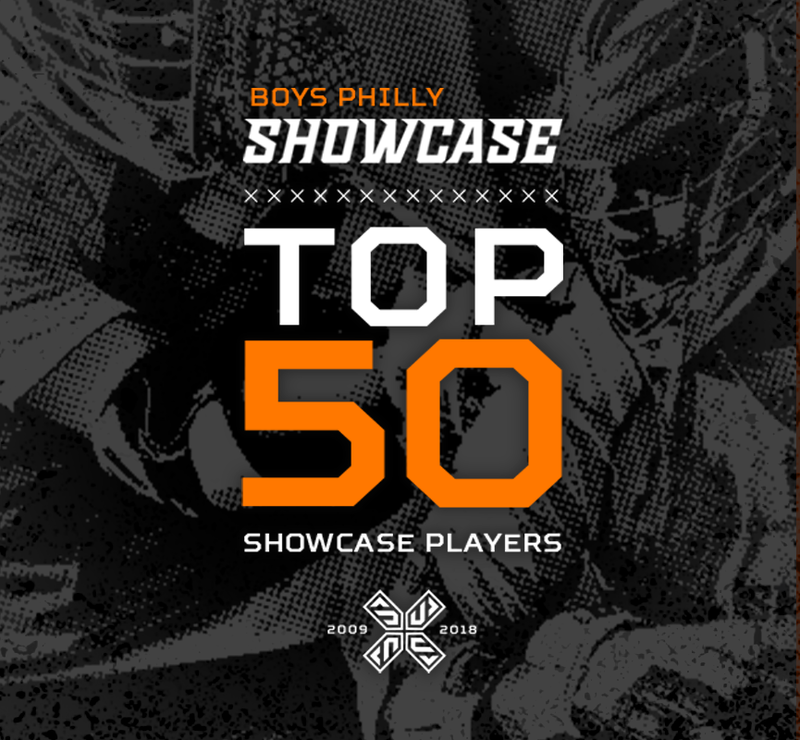 The Top 50 players will conclude with the Philly Showcase 10 Year Anniversary Team. Without further ado, here is the top 50. • 2018 Ensign C. Markland Kelly, Jr. National Goalie of the Year. Check back next week for top ten!